Rated for speeds up to 400 FPS. 24"w. x 24"l. x 10"d., 34 lbs. 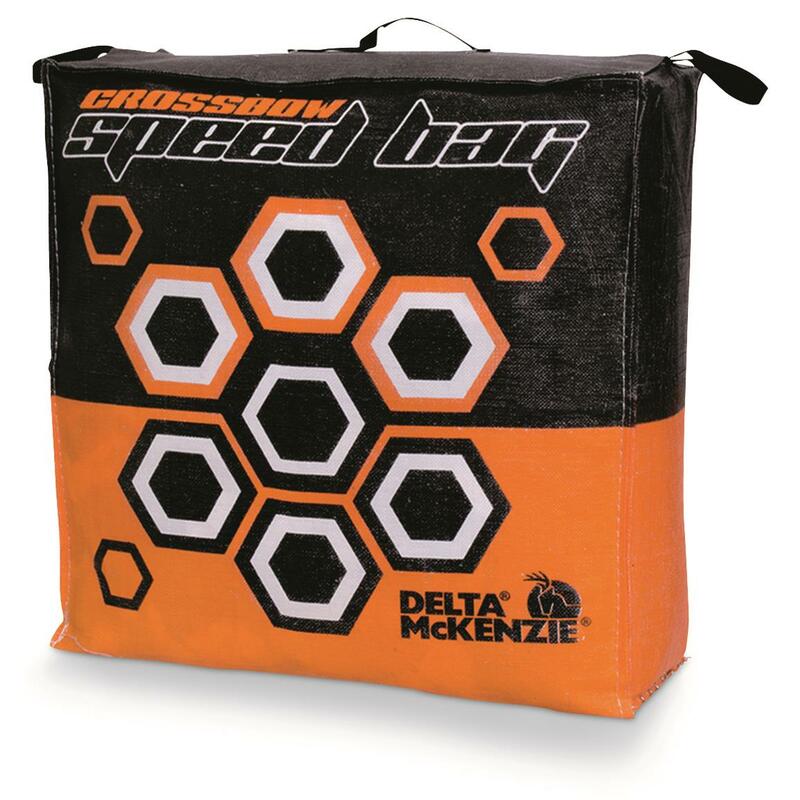 Rated to stop crossbow bolts up to 400 FPS, the Delta Mckenzie® Crossbow Speed Bag is sure to become your new go-to for improving your aim in the backyard or at the cabin. Speed Bag features advanced Hydro-press internal composition for extreme stopping power and comes equipped with high contrast aiming points for easy target acquisition. Dimensions: 24"w. x 24"l. x 10"d.